5 Elleston Trevor Famous Sayings, Quotes and Quotation. The Army had your soul, once you'd been in it all those years - there were things you couldn't shake off so easy, because they'd gone deep into you, and it was painful when they came out, because of the roots they'd grown, right deep down in your guts. Name and number? Watson, 606. 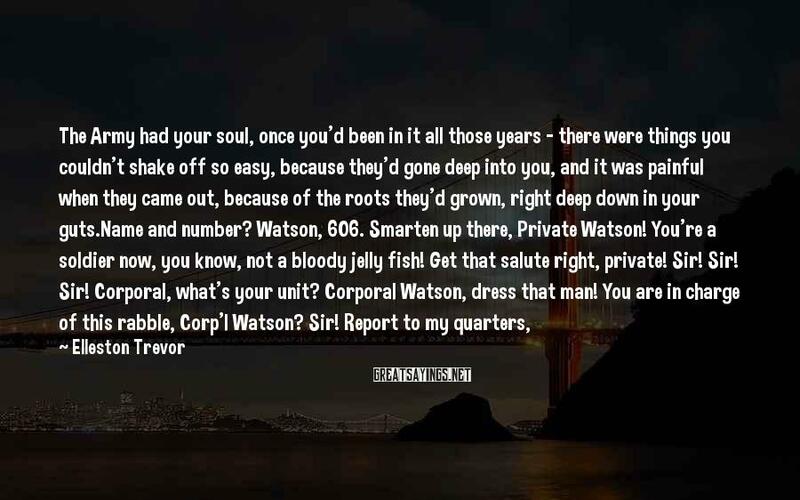 Smarten up there, Private Watson! You're a soldier now, you know, not a bloody jelly fish! Get that salute right, private! Sir! Sir! Sir! Corporal, what's your unit? Corporal Watson, dress that man! You are in charge of this rabble, Corp'l Watson? Sir! Report to my quarters, Sarnt Watson, oh six hundred hours! You should know better than that, Sergeant - now get those men in order! Sir! Sir! Sir! 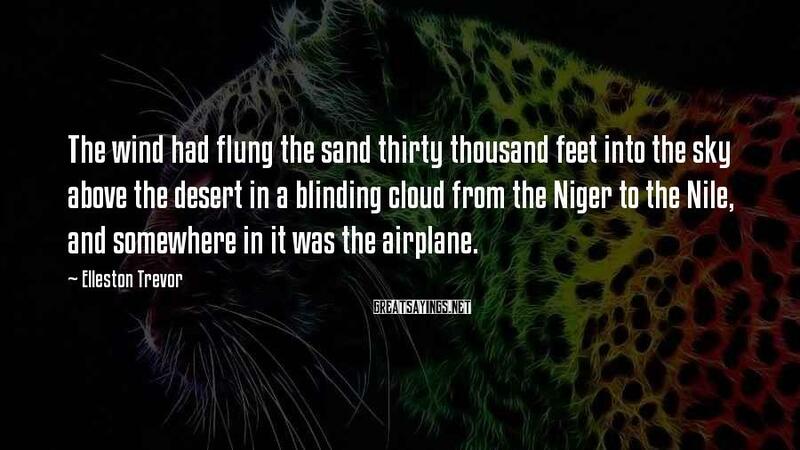 The wind had flung the sand thirty thousand feet into the sky above the desert in a blinding cloud from the Niger to the Nile, and somewhere in it was the airplane. 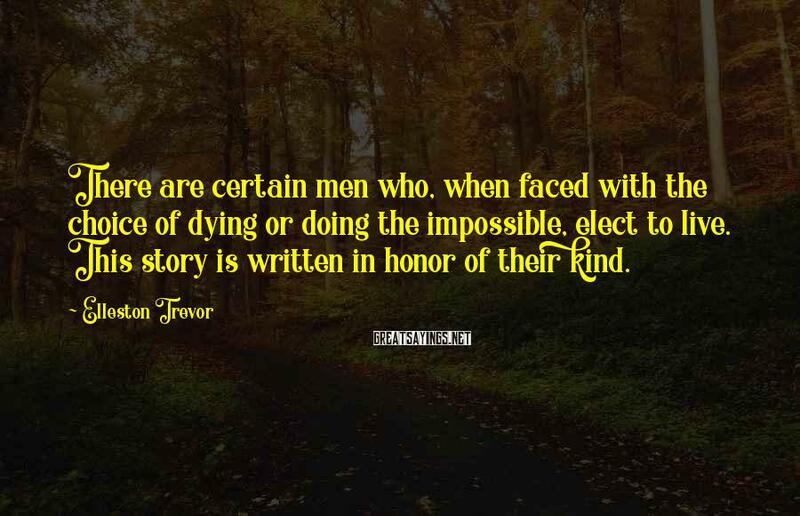 There are certain men who, when faced with the choice of dying or doing the impossible, elect to live. This story is written in honor of their kind. 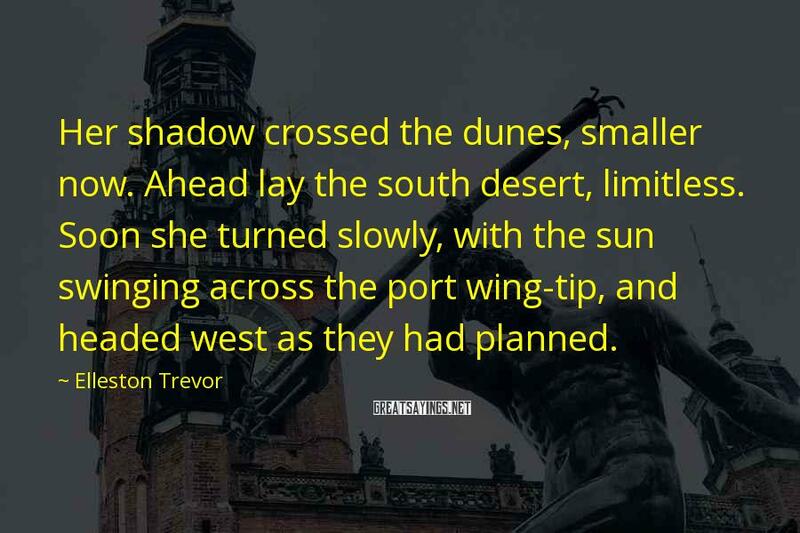 Her shadow crossed the dunes, smaller now. Ahead lay the south desert, limitless. Soon she turned slowly, with the sun swinging across the port wing-tip, and headed west as they had planned. 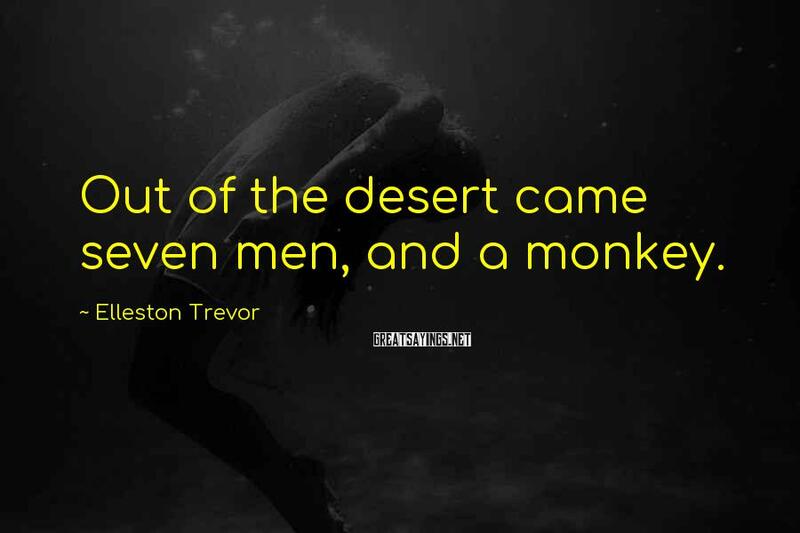 Out of the desert came seven men, and a monkey.